Dolores Ziff has been an actress on BBC in front of and sometimes behind the camera. She was in the first James Bond film (murdered in the 15-minute prologue – see film clip below). She wrote a chapter for Ian Flemming’s book on Jamaica, and found the cast for Peter Brook’s production of Lord of the Flies, with one chapter being nominated for the “Piggy” for the Academy Awards. Dolores was a Morgan Horse Breeder. She had an apple orchard in the mountains of North Carolina – 3000 trees. In the fall, the “farmer” would return to Miami. After marrying Sanford Ziff – a full-time job – she sold the farm, sadly; but as she says, he was worth it. On the Advisory Board for MOCA (Museum of Contemporary Art). She was a one-time international member of the Bolshoi, has been on the Board of the Press Club and Board of “Log Cabin”, aiding mentally-challenged young adults. She was Leading Lady for the March of Dimes and was honored with the Spectrum Award for the Red Cross. The Camillus House has always been important to her. She was recently honored by the Women’s Fund. Her husband Sanford Ziff is founder of Sunglass Hut of America. Upon selling his more than 550 Sunglass Hut kiosks and boutiques, he has devoted himself and his financial resources to the public good on virtually a full-time basis. 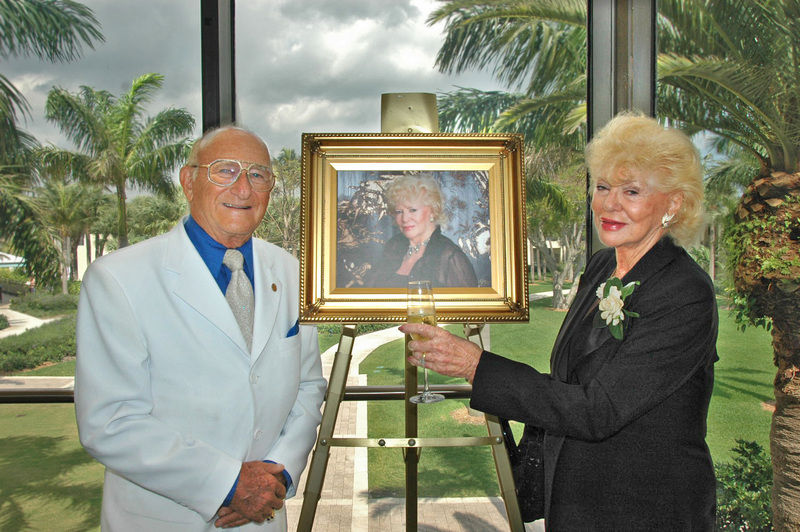 Sanford and Dolores were Moët & Chandon’s “Beautiful Couple”, honored on National Philanthropy Day. They have made a tremendous impact through their generosity, as well as leadership, in the Friends of the Lowe Art Gallery at the University of Miami, The Concert Association of Florida, Florida International University and the Beethoven Society of Miami, to name just a few. Sanford has played a pivotal role in the creation of some of the city’s most important educational and cultural centers, including the University of Miami Business Schools Placement Center, the Art Museum at Florida International University, the Education Building at Florida International University, and most recently, the Opera House at the Adrienne Arsht Center for the Performing Arts in downtown Miami. Miami is a better place as a result of the phenomenal generosity of Dr. Sanford and Dolores Ziff.